How do I add a report recipient to receive my daily report? As a project administrator, you can add Report Recipients to receive the daily PDF reports. This can be beneficial if you need someone to have eyes on the report, but do not need them to have a NoteVault license to contribute to the reports. 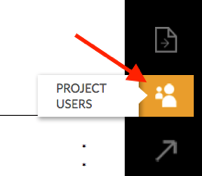 After logging into the NoteVault website, find the desired project by clicking on the project selector drop-down menu at the top of the page. 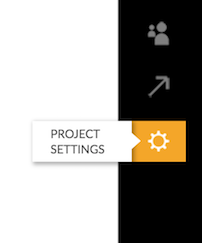 Click on ‘PROJECT USERS’ or ‘PROJECT SETTINGS’ on the vertical toolbar towards the right of the page. 3. Click on ‘Report Recipients’. 4. Click on ‘Add Recipient’. 5. Fill out the recipient's information and click ‘Save’.